The event will focus on current issues affecting education both regionally and nationally from representatives from One Awards, NOCN and Local Stakeholders. The event also offers networking opportunities with education providers working with One Awards, representatives from NOCN and One Awards and other stakeholders. To book a place at the event please click here. NOCN Group is proud to announce that it has retained the Investors in People (IIP) Silver Award in recognition of its commitment to employee development. The assessment took place in January this year and included online assessment, desk top reviews and employee interviews. The Group has been growing and diversifying over the last two years; now employing over 150 people in Sheffield, Kings Lynn, Cardiff and Peterlee, with operations expanding overseas. It is a leading Awarding Organisation for vocational qualifications, the number two in construction skills and a market leader for Apprenticeship End Point Assessment as well as undertaking research and consultancy on skills development programmes. The Group is a not for profit charitable organisation, a Leader in Diversity, and Disability Confident. It holds its ethical outlook as core to its success, with a firm commitment to create opportunities through learning and skills. We greatly value your feedback on our performance and contributions to our strategic direction and would be most grateful if you take a few minutes to complete the survey, so we can take your views into account in future planning. Be as honest as you like and please add comments to give more details where possible. 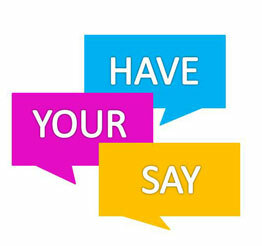 The survey will be open until 4.30pm Friday 22nd March 2019.